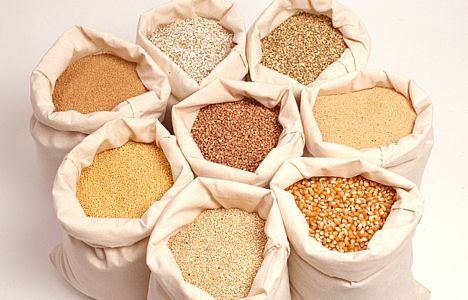 Grains are a sticky subject when it comes to fast, healthy fat loss. Some experts say eat them, some say don't. The main problem is that grain foods like breads, pastas, and rice are very caloric dense. They can also cause blood sugar levels and insulin production to spike... not good things if you're trying to burn fat and lose pounds rapidly! There is a simple solution, as there almost always is. I call it the "grain trick" and it basically goes like this: eat your grains at the right time, mainly right after a heavy strength training/weight lifting workout. That way your body is much more likely to use the starchy calories to re-build lean muscle tissue instead of storing them as body fat. Eat fewer grains and starches (like potatoes) in general. It's simply easier to lose fat if you do so. Eat grains/starches ONLY after heavy strength training workouts, within 40 minutes after doing your last set. Eat meals and snacks based around proteins, vegetables, raw fruits, healthy fats, and beans/legumes. Only add in grains only on heavy lifting days and you'll be good to go! So there you have it: you carb lovers can still have your breads, pastas, crackers, rice, etc. Just time it right and you'll gain more muscle while losing fat faster!